"The rats are pretty big down here, so don't fall behind." So begins the short, quirky and fun descent into the Emerald City's underground. 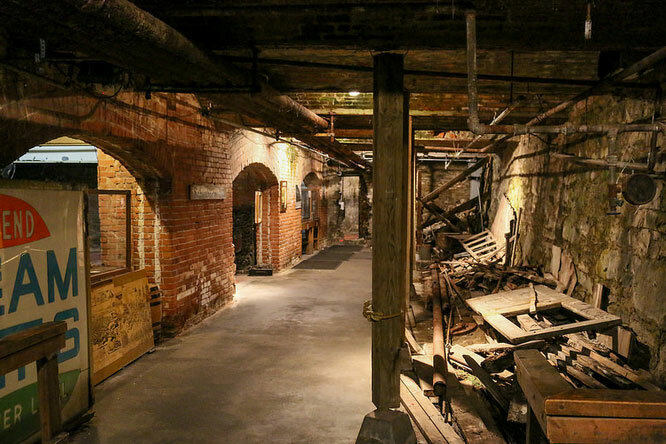 Bill Speidel's Underground Tour of Seattle isn't very long and it doesn't take an inordinate amount of time — but it certainly is a departure from most city tours. Narrated like machine-gun fire, the tour guide works to cram as much information as he or she can muster into the 90-minute, three-block walk under Seattle's historic Pioneer Square. The tour begins inside Doc Maynard's Public House, a restored 1890s saloon. After a healthy introductory spiel, the tour descends to three different sections of Seattle's underground. When you stand in line to buy your ticket, you're actually standing a full story above Seattle's original sidewalk. The city was built in the 1880s at sea level. According to stories told on the tour, the low elevation during frontier days could be precarious. 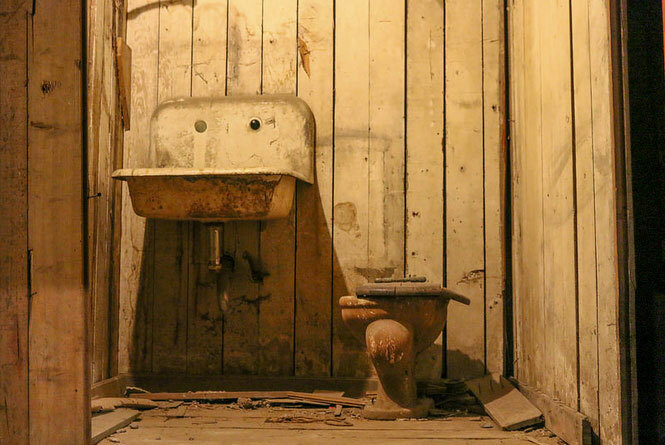 For instance, its toilets were known to flush in reverse at really high tide — a precious plumbing tip to file away for your next construction project. In 1889, a fire raged through the city, destroying 25 city blocks of wooden houses. Local leaders took the opportunity to build using stone and iron, and to place the city at a higher level. Soon a two-level Seattle took shape. The streets were graded using dirt from the surrounding hills, elevating the neighborhood as high as 35 feet. For a time, while the downtown sidewalks and shop windows were at the new street level, there were shop entrances at original ground level. That meant using lots of ladders until new sidewalks were built. According to the tour, 17 men fell to their deaths in that period. Some businesses operated at both levels. Others, such as steam baths and "other enterprises" operated on the lower level. Seattle — being a Wild West town full of fishermen and loggers — had quite the gender disparity. A census during that period fixed the population count at 23,000 people, most of them male. However, there were 2,300 women who noted their profession as "seamstress," with all but six of them living in the same, three-block area. Lots of torn dungarees, perhaps. However, a subsequent city investigation didn't find too many sewing machines. These are just a few of the nuggets you'll mine on the walk. The two-level section of town existed until 1907, when bubonic plague hit Seattle (look out for those rats). 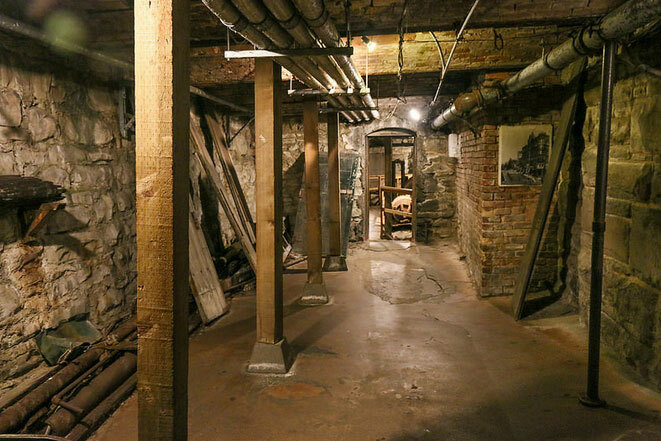 Panicked city leaders shut down the underground and it wasn't excavated until the 1960s. The tour was started as a way to get people to help preserve Pioneer Square. In 1970, half a million signatures were submitted to the government to keep it from being destroyed, and it was one of the largest historic districts in the nation at that time. On the short tour, be prepared for the underground landscape to be moderately rugged. Although the journey underground is mostly a labyrinth of walkways in a small area, there are six flights of stairs, and some uneven terrain, so dress for the weather and wear sensible footwear for walking. This tour is fun for older kids and teens, who will better understand and appreciate the history. The tour runs almost daily, but on a seasonal schedule, so check the website for times. You can buy your ticket in advance — online or by phone — up to two hours before the start of a tour. Call 206-682-4646. You also may purchase tickets in person at the ticket booth before your tour. It's located at 608 First Ave, in Seattle's Pioneer Square, between Cherry Street and Yesler Way. Driving in Seattle is one of the more aggravating activities in the Pacific Northwest. Public transport on light rail or bus (metro.kingcounty.gov) is a good alternative to driving; if you do drive, be prepared to get stuck behind a local Seattleite crawling along at a good 10 mph below the speed limit. You may or may not be able to find street parking or space in parking garages.